The Litany of the Blessed Virgin Mary is a Marian prayer which was approved in 1587 by Pope Sixtus V. It is also known as the Litany of Loreto, for its first-known place of origin, the Shrine of Our Lady of Loreto (Italy). The exact date of its origin is unknown but some place it to Apostolic times. It can be prayed every day. Lord, have mercy on us. Lord, have mercy on us.Christ, have mercy on us. Christ, have mercy on us. Christ, hear us. Christ graciously hear us.God, the Father of heaven, have mercy on us. Virgin most renouned, pray for us. Pray for us, O holy Mother of God.That we may be made worthy of the promises of Christ. 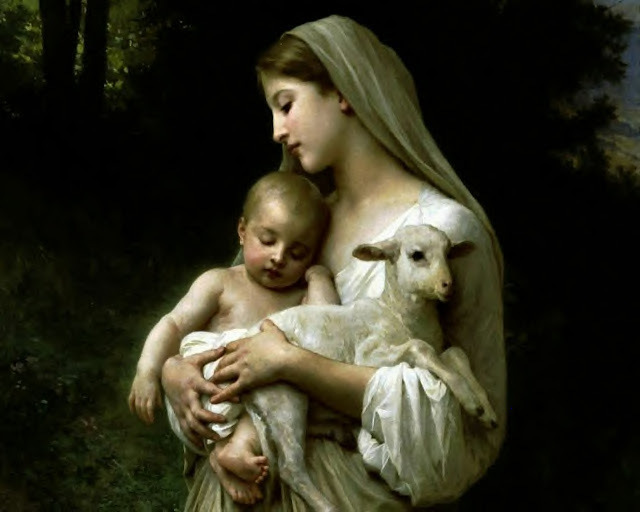 SHARE This Beautiful Prayer to the Mother of God to Inspire and Change the World! Grant, we beseech Thee, O Lord God, unto us Thy servants, that we may rejoice in continual health of mind and body; and, by the glorious intercession of Blessed Mary ever Virgin, may be delivered from present sadness, and enter into the joy of Thine eternal gladness. Through Chrsit our Lord. Amen. INDULGENCE Partial and a plenary indulgence. Pius VII granted one of three hundred days indulgence every time it is recited; and anyone who prays it every day may obtain a plenary indulgence, under the usual conditions, on the five principal feasts of the Blessed Virgin - the Immaculate Conception, Nativity, Annunciation, Purification and Assumption.